Batik is a traditional art form found in several countries sandwiched between the Pacific and Indian oceans, like Indonesia, and Malaysia etc. 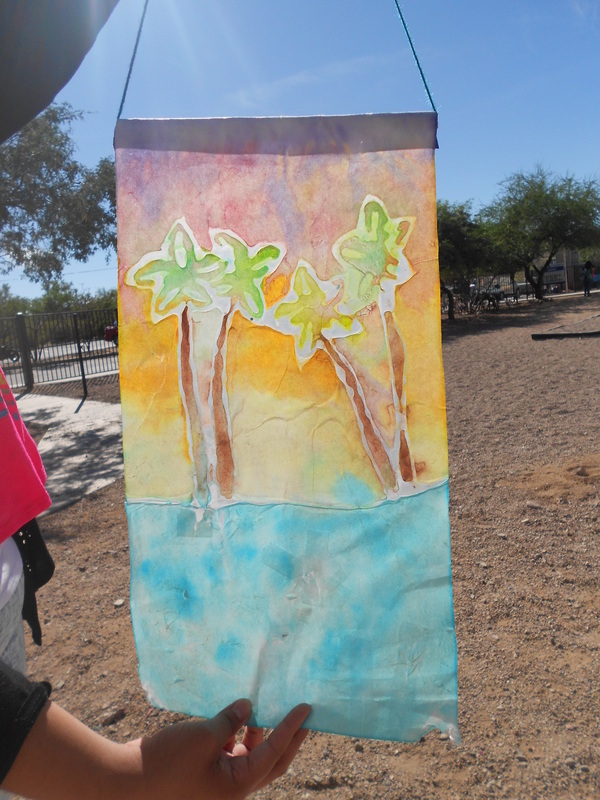 It uses a technique of sectioning off different areas of fabric by using melted wax, then dying those areas of fabric. The tools required are a bit expensive so we used glue to section off areas of rice paper, and the colored them with watercolor to create these images. 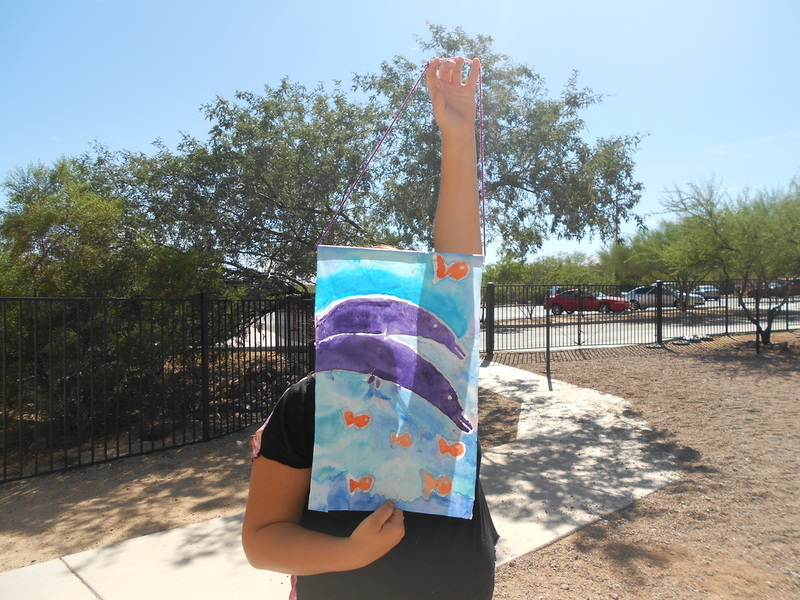 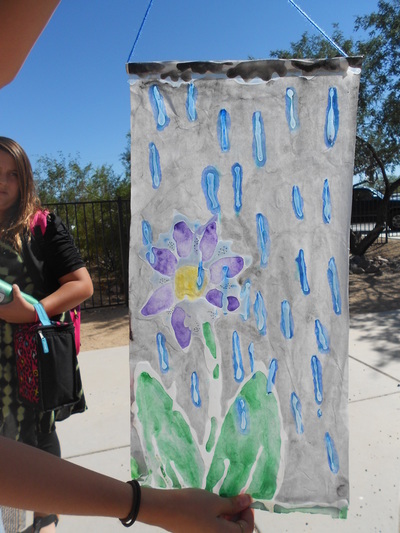 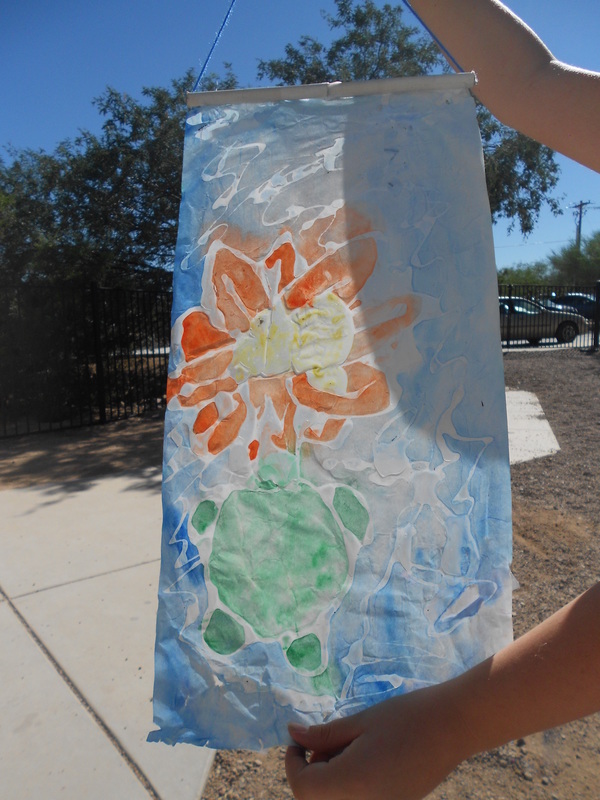 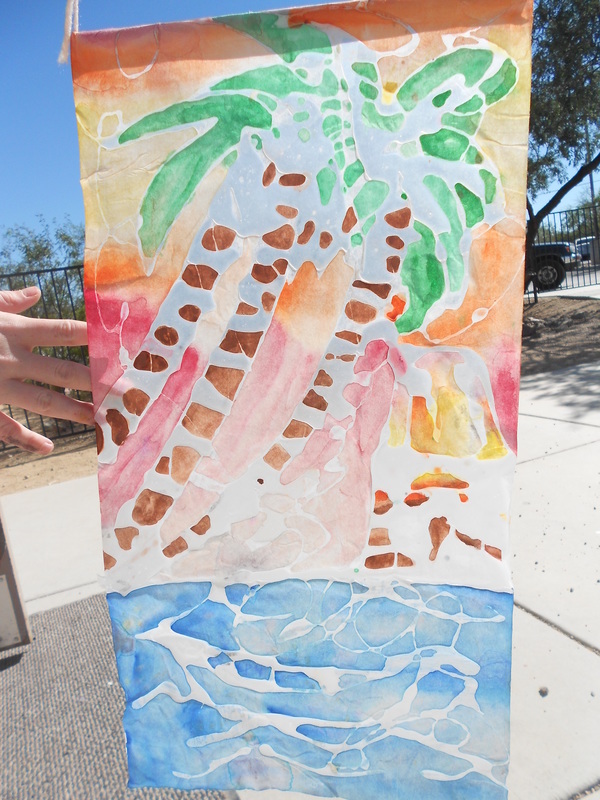 Students created these works with a tropical theme to go along with the origin of traditional batiks.